📍 Coleman Coliseum – Tuscaloosa, Ala.
CLEMSON, S.C. – Clemson faces its second SEC matchup in as many games, traveling to Tuscaloosa, Ala. on Monday to take on the Crimson Tide. Tipoff at Coleman Coliseum is set for 8 p.m. EST with Roy Philpott and Brooke Weisbrod on the call for SEC Network. William Qualkinbush and Kelly Gramlich will have the radio call on Clemson Tigers Network. 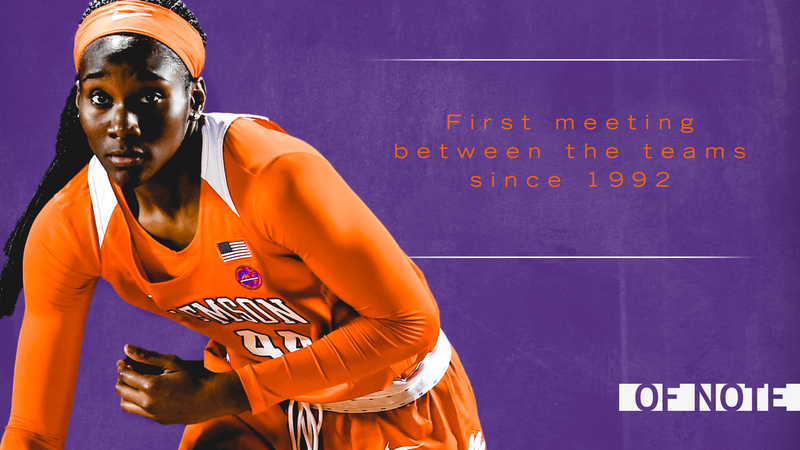 The Tigers and the Crimson Tide meet for the first time since the 1992-93 season, a year that saw Clemson in the NCAA Tournament. This will be just the fifth meeting between the programs in Clemson history with the series sitting tied at two games apiece. 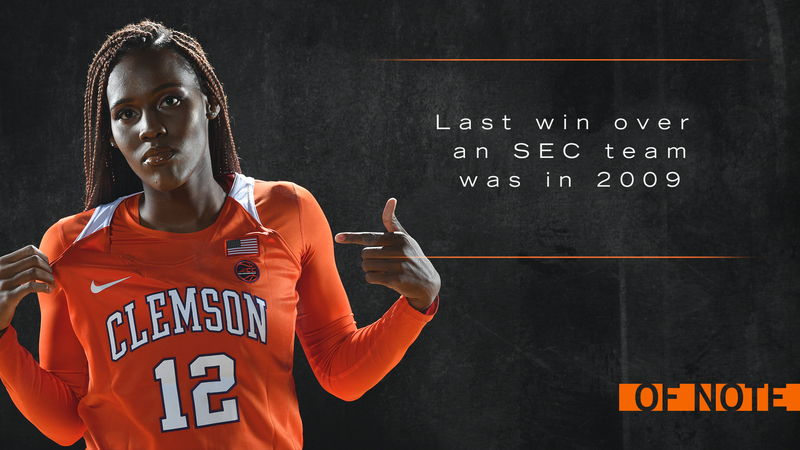 Both Clemson and Alabama hold a 1-1 record at their respective home courts. 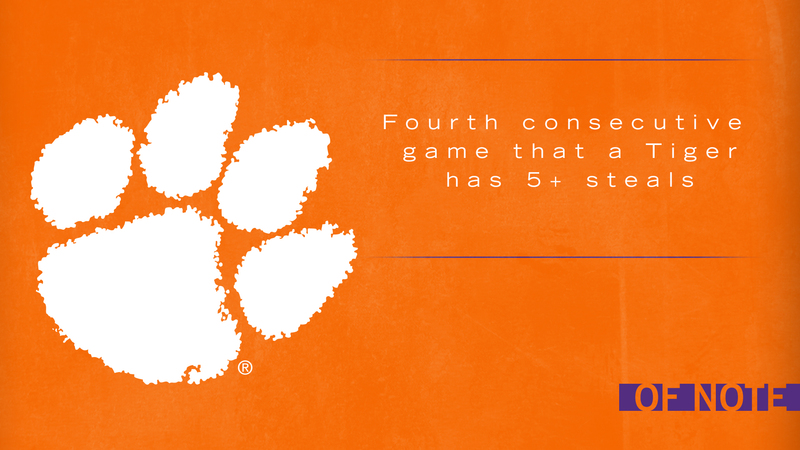 Clemson dropped its first contest of the season on the road at No. 10 South Carolina. The Tigers outscored the Gamecocks 18-8 in the third quarter, pulling to within three of South Carolina, but could not complete the comeback. Clemson edged South Carolina in paint points, tallying 46 to the Gamecocks’ 28 points. Like the Tigers, Alabama enters Monday’s contest 2-1. The Crimson Tide are coming off a 62-61 overtime victory at Southern Methodist, carrying momentum into the game against Clemson. SMU outscored Alabama 15-8 in the fourth quarter to force the game to overtime but came just shy of completing the comeback.